After our first conference in Berlin last November it's time for a smaller-scale meetup again. Sticking to our quasi-tradition of side-by-side-ing with the wonderful beyond tellerrand conference, we're now bringing the Accessibility Club to Düsseldorf for the first time. We're super happy that some of the beyond tellerrand speakers will be joining us for the meetup! So far, Charlie Owen, Heydon Pickering, Tantek Çelik and Carolyn Stransky have confirmed their participation. If they don't miss out, you shouldn't either! ? The meetup will use a BarCamp-like format, which means that we don't have a pre-defined schedule, invited speakers or conference-like talks. Instead, the event has a self-organizing character: At the beginning, attendees propose sessions about topics they are interested in, have questions about or want to share their experience with. The goal is to spark discussions and encourage part-giving rather than part-taking. Sessions are time-boxed to 45 minutes. Depending on the number of attendees and proposals there may be multiple sessions in parallel. While promotional presentations are discouraged you're welcome to share your work in order to get feedback or let others benefit from your findings. If you already plan to facilitate a session please let us know in advance. We're happy to publish an announcement right here! We're delighted to announce that we teamed up with trivago this time — they will kindly support us with a venue and much more. 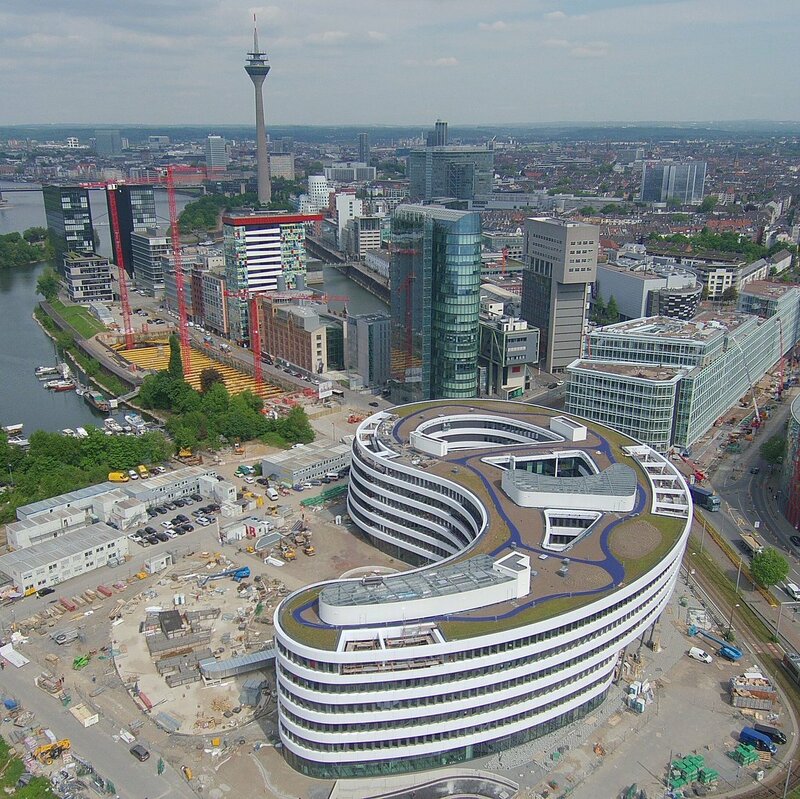 The meetup will take place at their new headquarters in the midst of Düsseldorf's media harbour. The location is fully wheelchair-accessible (accessible toilets are available on the ground floor). Service animals are allowed and welcome. If needed, a quiet room is available as well. trivago will do their best to allocate extra parking places in their garage for better access, print signs for navigation and keep all the heavy doors open. Snacks and beverages will be provided throughout the day. Each attendee will receive a voucher for a lunch in the trivago canteen which we'll collectively have at around 1 p.m. (please tell us your catering preferences during the registration process). If you can't afford the ticket by any means, please don't hesitate and let us know. There's no official scholarship or diversity programme for this event but we'd like to encourage everyone to join us and are happy to suspend the donation requirement where appropriate. We do our best to spend the revenues wisely and only use them for covering our basic expenses and / or funding future events. As food might be provided, we're really keen on keeping the no-show rate as low as possible so that we don't have to waste food or other resources. If you bought a ticket and can't make it to the meetup, please let us know. There are no refunds but you can always give your ticket to someone else — you can change the ticket details at any time. 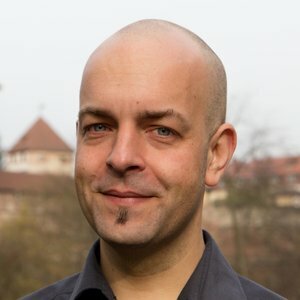 Joschi is working on the web since the mid 90s, founded the web agency tollwerk and the Open Device Lab Nürnberg, is an IndieWeb enthusiast and passionate Open Source coder. Since 2013 he launched a couple of event series like the border:none and Material conferences, the Accessibility Club and the CoderDojo Nürnberg. He's running IndieWebCamps, the Homebrew Website Club Nürnberg and is one of the driving forces behind the Nürnberg Digital Festival. Tollwerk is a web and advertisement agency focusing on highly customized, complex TYPO3 projects, multi-device websites and services, performance and accessibility matters as well as classic advertisement and graphic design. beyond tellerrand is an affordable web design and development event taking place in Düsseldorf, Berlin and Munich. btconf is an event for Web enthusiasts.